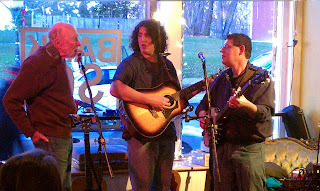 Jacob Bernz was born and raised in New York's Hudson Valley surrounded by the musical friends and colleagues of his father including Pete Seeger. At a young age he began writing his own songs and playing whenever he could. He has since become a prolific songwriter and an accomplished musician. Through his friendship with Pete, and as a member of Clearwater's Power of Song, Jacob had the opportunity to play at many distinguished venues including The Guthrie Center, The Tarrytown Music Hall, New York's Symphony Space and Lincoln Center Out Of Doors. He's been fortunate to share the stage with notable musicians including David Amram, Guy Davis, Livingston Taylor, Jackson Browne, Tom Chapin and Arlo Guthrie. 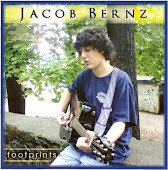 Jacob’s latest CD is a collection of all original songs with producer Jeff Haynes. His music is distinct, crossing through genres including folk, jazz, blues and pop, and in the process creates a style and genre all his own. David Bernz grew up immersed in folk music, schooled by his father and mother who were both intimately involved in the early folk boom of the 1940’s and ‘50s. Lee Hays of the Weavers was a close family friend and eventually purchased the house next door. Since learning guitar and banjo in his teens, David has quietly found his way into stages with some of the nations top folk luminaries including Richie Havens, Tommy Makem, Noel Paul Stookey, Peter Yarrow, Jean Ritchie, Oscar Brand, Arlo Guthrie, Josh White Jr., Tom Chapin, Christine Lavin and Pete Seeger. During the 1990’s, David appeared locally with his groups “Stone Soup” and “Dave Perry Rande.” In 2003, David Teamed up with west coast folksinger James Durst to form “Work o’ the Weavers” a tribute to America’s quintessential folk quartet. Work o’ the Weavers has toured through 27 states as well as Canada and Israel and continues its work bringing the music and story of the Weavers to audiences young and old and presenting new material in the Weavers’ trajectory. David has also tried his hand at producing concerts, CDs and radio. 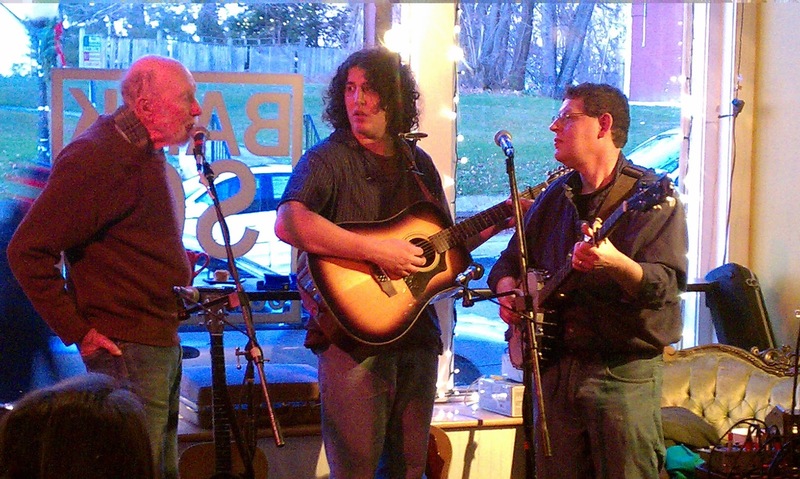 His credits include WAMC radio’s “Clearwater Moment” and several of Pete Seeger’s recent CDs. In 2008, David received a Grammy award for producing “Pete Seeger At 89” in the category of “best traditional folk album” and in 2010 he earned an additional Grammy award for producing the "best children's album," "Pete Seeger, Tomorrow's Children." In April 2010, David co-produced “Kisses Sweeter Than Wine,” a benefit concert at the Tarrytown Music Hall featuring The Klezmatics, Pete Seeger, Fred Hellerman and others. The concert raised funds for the Sloop Woody Guthrie and the Woody Guthrie Foundation. In 2012, David produced two additional CDs for Pete Seeger. The first, "Pete Seeger and Lorre Wyatt-A More Perfect Union" featured 14 new co-written songs and conbtains appearances by notable guest artists Bruce Springsteen, Emmylou Harris and Tom Morello, Dar Williams and Steve Earle. The second, "Pete Remembers Woody" is a 2 CD set of spoken word and music in which Pete recounts his times with Woody. The CD was released in conjunction with Woody's centennial celebrations. David and his son Jacob can also be seen performing together as a father-son duo.